What you should know about image files. Greetings from a Digital Art Expressions Las Vegas, Nevada. A Design without a story, well it's just a design. A design with a story, that's art.™ Bill Campitelle © 2013-15". Follow Digital Art Expressions's board NEW DAE Collections from Zazzle on Pinterest. What's Hot: Baseballs!!! Kids learn the importance of teamwork and perseverance when they participate in sports. Let yours cherish and remember these life-long lessons with a fully customizable baseball. Full regulation sized, playing catch just got a whole lot more meaningful. View Zazzle Collections Las Vegas! Any way you want it, come get it your way! ™ Added Collections to Vegas Page. See other gifts available on DAE. See other Baseball gifts available on Zazzle. Avast, me hearties, will ye be up to helpin' me find me Booty?! See other gifts available from DAE. See other Digital Art Expressions available on Zazzle. Associated Press Friday, Aug. 14, 2015 | 8:38 a.m. Spirit Airlines says it's adding daily nonstop flights between Las Vegas and New Orleans starting Nov. 13. The nonstop flight is scheduled to leave Louis Armstrong New Orleans International Airport at 7 a.m. with fares starting at $83 and depart McCarran International Airport near the Las Vegas Strip at 7:50 p.m. with fares starting at $63 based on Nov. 13 flight availability online. in the " Zazzle Begin Section", instead of having individual design collections, this will make it easy for you to view selected products and designs. So bookmark this page! Adding Collections to Vegas Page. Zazzle has officially announce the launch of their newest product: Fabric! If you went to the Zazzle web site directly the first thing you would say is prices are too high and you would, for the most part, be correct. What Zazzle should do along with others, is use the following statement: no setup fee, designers are not allowed to charge for their services which is a savings to you from $100.00 to $500.00 depending upon the design. Men, women and children all sizes and colors . We don't sell products. 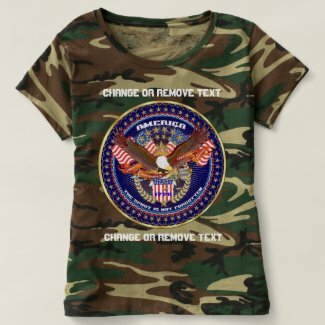 We offer our designs on other companies' products such as Zazzle, Spreadshirt, Fine Art America and Cafepress. Your Cost to create our design images are between $100.00 and $500.00, set up fee $40.00 cost on Zazzle, Spreadshirt , Fine Art America and Cafepress "FREE!" and NO set up fee! Why? Because you don't have to pay for our services. You have the ability to create a totally custom gift. You choose the product, style and then the image or graphic you want on the front and/or back. This is the ultimate form of expression. There are no limits to what you can communicate. Some people might show their love for a particular sports team, others a festival or a fundraising event. You might have a special message for a loved one and or you may want a unique holiday gift. Whatever you may decide, you can print your message on just about any product. Many businesses will offer customers a variety of options so they may choose from a library of existing images, supply their own image, or have an artist create an image for them. Company-Product Overview of Zazzle, Spreadshirt, Fine Art America and Cafepress . These days it seems like everyone has the perfect idea on-demand product line. If you browse Zazzle, Spreadshirt, Fine Art America and Cafepress or any similar business you’ll see that they do make it look easy, don’t they? You design it, or up-load you photo and they print and ship. That really is as easy as it gets. Not just t-shirts any more! 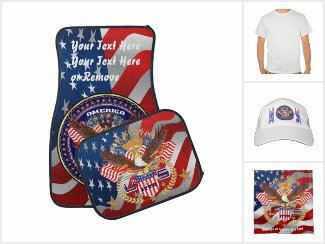 Since 2009 we have placed over 1000 designs on thousands of products on Zazzle, Spreadshirt, Fine Art America and Cafepress. There are 2 avenues of approach to these businesses, one as a customer and two as a seller, Here we will be concerned with helping you, the customer. In order to review what each of these businesses offer, you would have to visit each one then figure out what products are available, what is required, sign up then order. At D.A.E. we are here to help you save time and avoid potential pitfalls. On the menu on the left you will find information products for Zazzle, Spreadshirt, Fine Art America and Cafepress they are the most recognized on the web. Although similar, they are not the same. For example, Zazzle now has more different types of products (best place to customize) but navigation of products on web site is confusing. Spreadshirt has best design editor on the web but not many other products other than apparel. 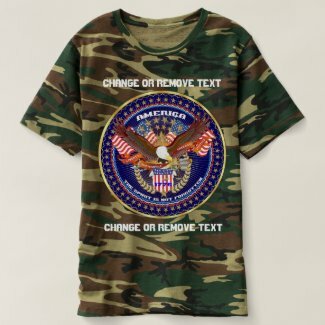 Cafepress has apparel and different types of products but customers do not have the option to customize. Fine Art America has mostly posters, phone covers and recently added pillows and tote bags. Accessing our information will provide you with each company's requirement to add your own design or image. In addition you learn how to up-load an image and what size and file type are requires as well as up dates on products and procedures to save you time and money and a lot more! Should be called 1& FUN .club .social .vacation .web .shop .blog .online .site .app .music .school and many more! Easy set-up and great templates to use and no advertisements! 100 GB Web space 1 Website 1 FREE Included Domain Over 140 Apps $5.99/month* OK! here's the secret it's called "sub domains" get hundred are you ready?! FREE! Simple. easy to set up Click on Banner & Check it out!